The anti-settlement group Peace Now has accused the Israeli government of seeking to legitimize settlement construction on privately owned Palestinian lands in the West Bank. According to Peace Now on Tuesday, the Israeli government told the higher court about its position on the petition filed by the group for the evacuation of 17 housing units in a settlement outpost known as Derekh Ha’avot near Bethlehem city. The government asked the court to consider only 10 housing units in this outpost retroactively legal. More than 10 years ago, the government declared that construction in the outpost was carried out illegally. Peace Now expressed hope that the higher court would reject the government's violation of its previous commitments in this regard and demand it to immediately evacuate the illegal outpost, which was built in February 2001. 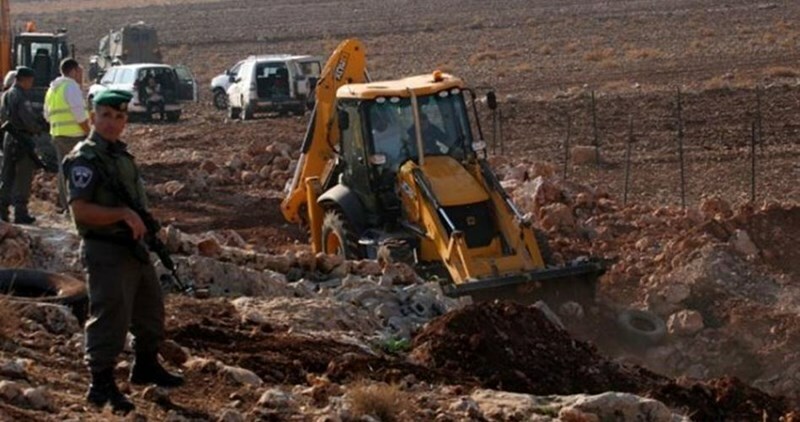 The Israeli Occupation Forces (IOF) stormed Tuesday morning Kissan area in Bethlehem accompanied with a number of military bulldozers and razed agricultural lands. Local activists told Quds Press that Israeli bulldozers razed the lands with the aim of settlement expansion. The bulldozed land is located near Hananel settlement illegally built south of the city, the sources pointed out. On the other hand, Israeli authorities decided to evict seven Palestinian buildings in Khuder town south of Bethlehem after Israeli settlers from Gush Etzion settlement filed a complaint against Palestinian residents. The Israeli authorities also ordered the demolition of the seven evacuated buildings within two years for being located near Eliezer settlement illegally built on Palestinian lands. The construction of settlements and the transfer of the occupying power's population into occupied lands are strictly forbidden under international law, and critics have likened the situation to "colonialism" and "apartheid." The Israeli Occupation Forces (IOF) demolished at dawn Tuesday the home of the martyr Ibrahim Eskafi, 22, who was shot and killed for allegedly carrying out an anti-occupation attack. Family sources affirmed that Israeli forces stormed, since the early morning hours, their house in al-Khalil and forced the eight members of the family out of the house before starting the demolition process. The IOF soldiers started knocking down the interior walls and rooms before closing the windows and doors, the sources said. Before leaving, Israeli forces handed over a notification order to the family preventing their entry into the house. 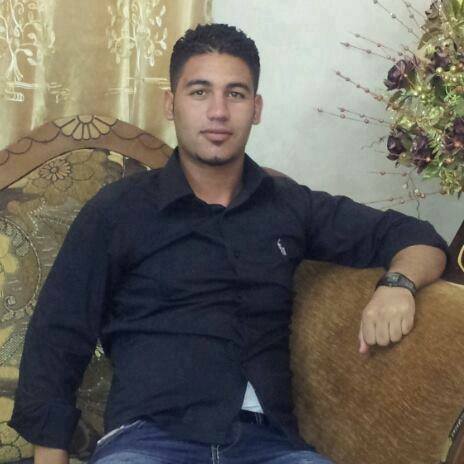 Eskafi was killed on November 4, 2015 by Israeli gunfire for allegedly ramming his car into a group of Israeli soldiers near Halhul town in al-Khalil, killing one of them. Israel's policy of collective punishment against Palestinians drew heavy criticism from human rights groups. Human Rights Watch, for example, has earlier called on Israel to immediately impose a moratorium on its policy of demolishing the family homes of Palestinians suspected of carrying out anti-occupation attacks. According to the international organization, "the policy deliberately and unlawfully punishes people not accused of any wrongdoing, and when carried out in the West Bank and East Jerusalem amounts to collective punishment, which is a war crime." 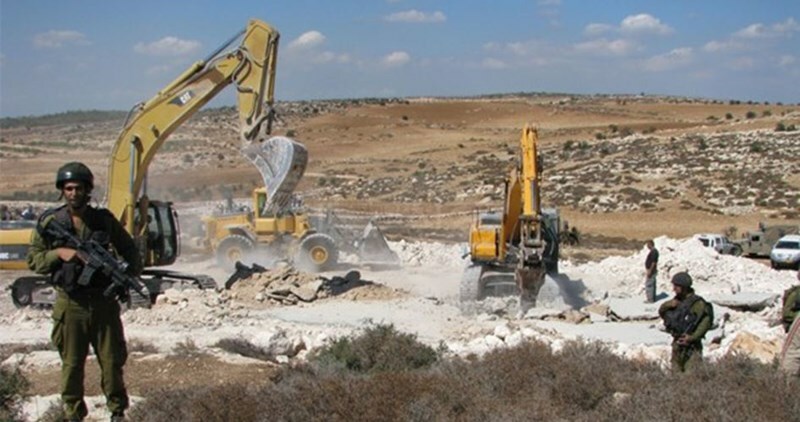 Israeli bulldozers on Monday destroyed vast tracts of Palestinian land and cultivated fields in the vicinity of the Bedouin villages of Umm Hiran and Sa'wa in the Negev as a prelude to building the settlement of Hiran. 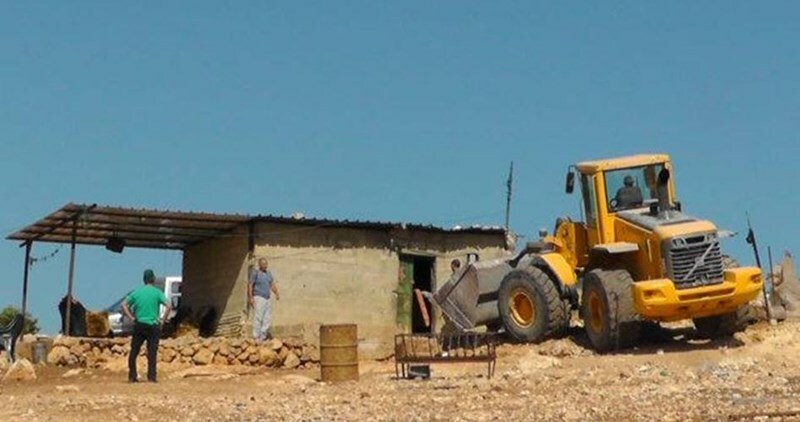 Chief of Umm Hiran village Ra'ed Abul-Qi'aan stated that Israeli bulldozers belonging to the Israeli government's land authority leveled wheat and barley fields near the villages. Abul-Qi'aan added that violent clashes broke out between Umm Hiran residents and Israeli policemen, who protected the bulldozers. Israel refuses to recognize dozens of Palestinian villages in the Negev, including Umm Hiran and Sa'wah, and work systematically on demolishing their homes and displacing their residents at the pretext they are located on state property. Recently, Israel carried out widespread demolitions in these two villages in particular in order to build a settlement in their place. An Israeli court on Sunday ruled that the Bedouin community of Um al-Hiran in the Negev in southern Israel is illegal, on the grounds that the community settled on state lands, Israeli media reported. "The state is the owner of the lands in dispute," Israeli daily Haaretz quoted Supreme Court Justice Elyakim Rubinstein as writing. "The residents have acquired no rights to the land but have settled them [without any authorization], which the state cancelled legally." Israeli planning authorities intend to build a "new town for Jewish residents in its place," Haaretz reported. 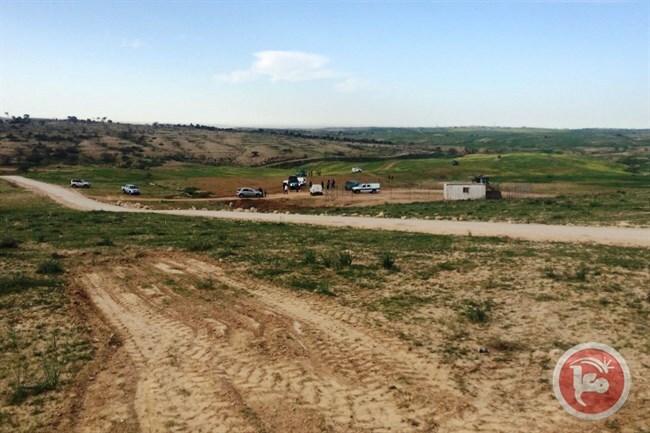 On Monday, Israeli authorities reportedly entered farm lands used by Um al-Hiran residents with the intentions of destroying crops, but residents were able to prevent forces from beginning the demolition. Raed Abu al-Qian, a well-known activist in the area, said the move "came to increase pressure on the residents and to make home demolitions easy in the village," following the Israeli court ruling. Said al-Khroumi, a member of a local committee for Arabs in Negev, said Israeli forces' presence at the village was "a heinous and barbarian aggression against the village and its residents." He also called for anyone able to travel to Um al-Hiran to visit the village "show solidarity." Bedouin member of the Israeli Knesset Talab Abu Arar accused Israeli Minister of Agriculture Uri Ariel of creating "a secret government committee" aimed at destroying the crops of Arab villages. According to Abu Arar, the "secret committee" recommended that Arab villages in the Negev be emptied, and residents removed. "This is a special Israeli form of ethnic cleansing," Abu Arar continued. Abu Arar highlighted that Israeli authorities destroyed crops in the villages of Attir, Hurah and Saawah during the past several days. The Israeli Occupation Forces (IOF) stormed Monday evening Beit Furik town east of Nablus and prevented local farmers from reaching their agricultural lands in Aqraba town south of the city. A PIC news reporter quoted a local activist as saying that nearly six Israeli army patrols stormed the town in two groups, which led to the outbreak of violent clashes. 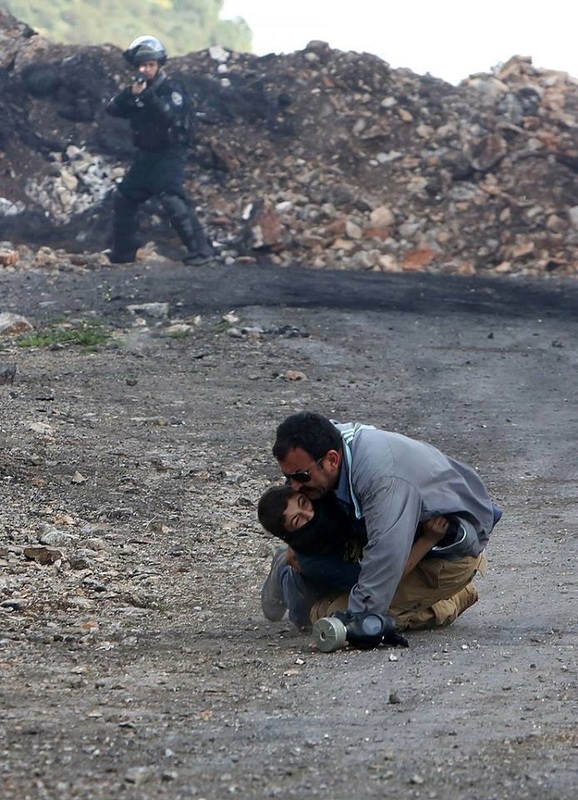 During the confrontations, Israeli forces fired heavy teargas bombs towards the youths. On the other hand, IOF soldiers prevented local farmers in Aqraba town from tilling their lands in Surif area, south of the town. An agricultural tractor belonging to a local farmer was also confiscated. The farmers appealed to human rights organizations to stop Israeli violations against them and their agricultural lands, which constitute the only source of their livelihood. 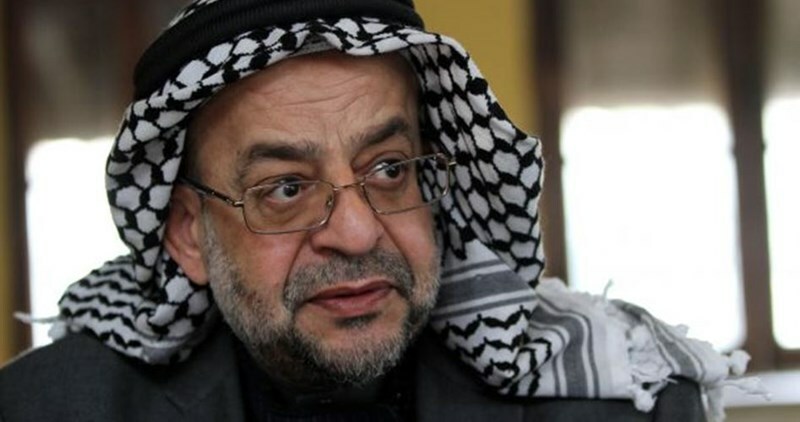 President of the international popular committee for the support of Gaza Essam Yusuf said that the charity and humanitarian institutions especially in Saudi Arabia are being exposed to a distortion campaign aiming at eliminating the humanitarian role of Saudi Arabia in the world. In a statement on Sunday, Yusuf said the Israeli lobby in the world, and especially in the United States, has prosecuted a number of charity institutions leading to their closure. Years later, legal evidence proved cleanness of those charities. He warned of calls for closing charities in Saudi Arabia and stressed the need to take urgent steps for supporting the Saudi charity institutions by establishing an apparatus to be responsible for organizing and monitoring the work of humanitarian and charity institutions in the Kingdom and for protecting them from distortion and abuse. The Israeli Occupation Forces (IOF) carried out at dawn Monday a large-scale raid and search campaign in the West Bank and occupied Jerusalem. Four detainees were arrested after Israeli forces brutally stormed Qalandia refugee camp to the north of occupied Jerusalem. Three other minors were detained in Jabal Makbar area in the occupied city. Two others including a minor were rounded up in Aroub refugee camp in al-Khalil, while another detainee was arrested in Beit Rima in Ramallah. Along the same line, Israeli forces stormed Beit Ummar town in al-Khalil and broke into a building belonging to a local charity association after blowing up its gate. Important files and laptops were confiscated during the violent raid, while the security guard was detained in a room for long hours. Several towns were also stormed overnight in Ramallah, al-Khalil, Tulkarem, Jenin, and occupied Jerusalem. Two local men were arrested in Jenin. Israeli Occupation Forces (IOF) confiscated on Sunday fishing equipment belonging to one of the Palestinian fishermen after being targeted by Israeli gunboats in Gaza sea. 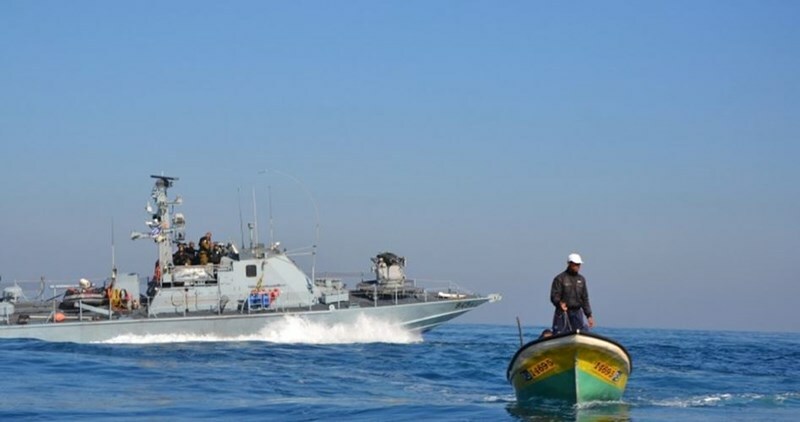 Quds Press quoted one of the Gazan fishermen, Ahmad al-Bardawil, as saying that an Israeli gunboat opened its machinegunfire at the fishermen while fishing in Rafah sea in the southern Gaza Strip. The heavy shooting forced the fishermen to end fishing and leave sea, he added. “After the shooting had stopped, we returned back to our fishing boats and did not find the fishing nets and some other equipment; the rest of fishing stuff were spoiled as well", Bardawil said. He stressed that they have been repeatedly targeted by Israeli forces despite sailing in the allowed fishing zone of 6 nautical miles. In the same context, Gazan fishing boats which were sailing in the northern Gaza sea were exposed to shooting by Israeli gunboats on Sunday. No casualties have been reported, according to Palestinian sources. The attack is another episode in the series of Israeli violations of the Cairo-brokered truce accord﻿﻿ signed on August 26, 2014 in the wake of the Israeli aggression on the besieged coastal enclave, which killed over 2,300 Palestinians, mostly civilians. Israeli settlers on Saturday opened a 1.5-kilometer-road on Palestinian land in Kisan village to the east of Bethlehem in the southern West Bank. 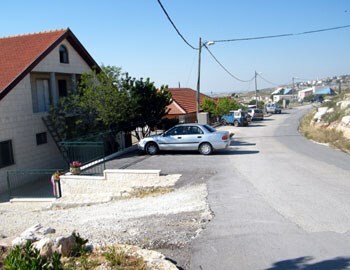 The PIC reporter said that opening of the road, which was conducted under the protection of Israeli forces, aims at confiscating more Palestinian lands in order to connect two Jewish settlements. Hussein Ghazal, head of Kisan’s village council, told the PIC reporter that the Jewish settler called Yusuf who opened the road had previously confiscated about 1000 dunums in 2014 under gun threat and the protection of Israeli soldiers. He built three houses and a farm over that confiscated area, Ghazal added. 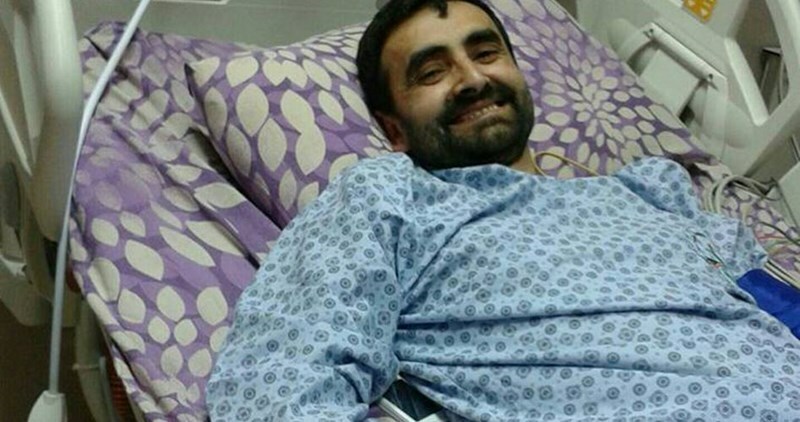 The family of the Palestinian captive Bassam al-Sayeh, 43, from Nablus, expressed their concern over the risk threatening his life due to his suffering from cancer in blood and bones in addition to acute weakening of heart performance as well as chronic infections in his lungs. Sayeh’s wife Muna Abu Baker told the PIC reporter that the health condition of her husband who is held in Megiddo Israeli jail has recently deteriorated. Nonetheless, he still has high spirit, she pointed out. Abu Baker expressed her worries about the life of her husband who has been detained since October, 08, 2015. She called for supporting him and putting pressure on the Israeli occupation to provide him with required treatment. Israeli forces threatened the family to demolish their home, the wife Abu Baker further pointed out. Israeli soldiers have kidnapped, on Friday evening, two Palestinian men in the Old City of occupied Jerusalem, after a number of Israeli extremists assaulted them. Army also kidnaped a Palestinian man in Silwan; clashes took place in Silwan, and Abu Dis; one child injured. 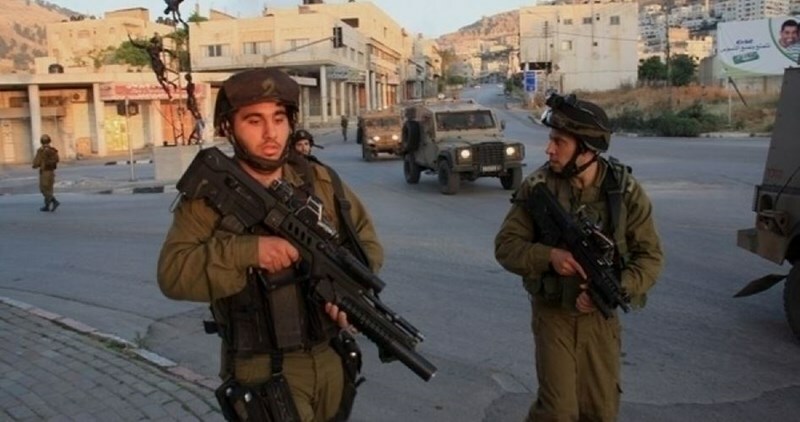 The Wadi Hilweh Information Center in Silwan (Silwanic) has reported that the soldiers kidnapped Daoud Salaima and Ahmad al-Beitouni, after a number of extremist Israeli settlers attacked them, an issue that led to a scuffle. 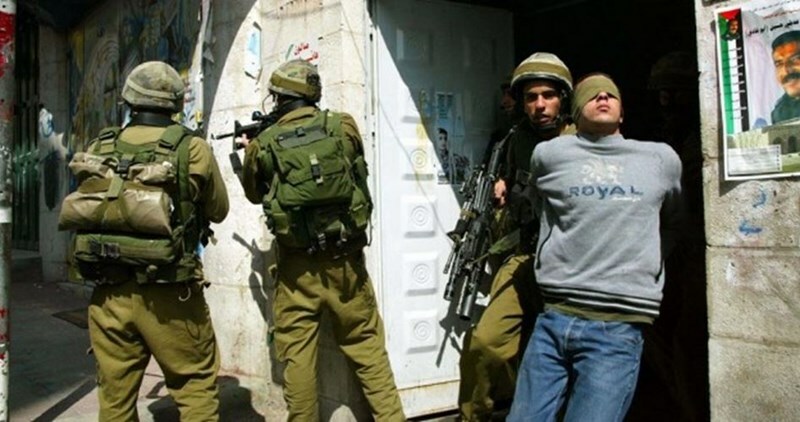 The soldiers did not arrest or detain the Israelis who assaulted the two Palestinians, but instead kidnaped the Palestinians and took them to an interrogation center in the city. The incident took place in Aqbat al-Khaldiyya in Jerusalem’s Old City. Clashes also took place in Ein al-Louza neighborhood in Silwan, after several Israeli military vehicles invaded it. The soldiers invaded at least one home, and kidnapped a man, identified as Ali Abu al-Hamam, 47. Silwanic said the soldiers attacked women in the invaded home, broke many windows and sprayed several Palestinians with pepper-spray after they rushed to aid the family. In addition, the army forced many merchants to close their stores without providing any justification, and fired dozens of rubber-coated steel bullets and gas bombs, during clashes that took place following in the invasion. Also in Silwan, the army handed four demolition notices targeting commercial and residential buildings in Silwan. The orders target a store and two homes in Ein al-Louza, in addition to one home in the al-Bustan neighborhood. Also on Friday, the soldiers shot a child with a live round in his leg, in Abu Dis town, near Jerusalem, while dozens of residents suffered the effects of tear gas inhalation. The wounded child was moved to a local hospital while medics provided treatment to scores of residents who suffered the effects of tear gas inhalation. The national bureau for defending the land and resisting settlement has said that Israel has escalated recently the demolition policy it pursues against Palestinian homes and property in the West Bank and Jerusalem. 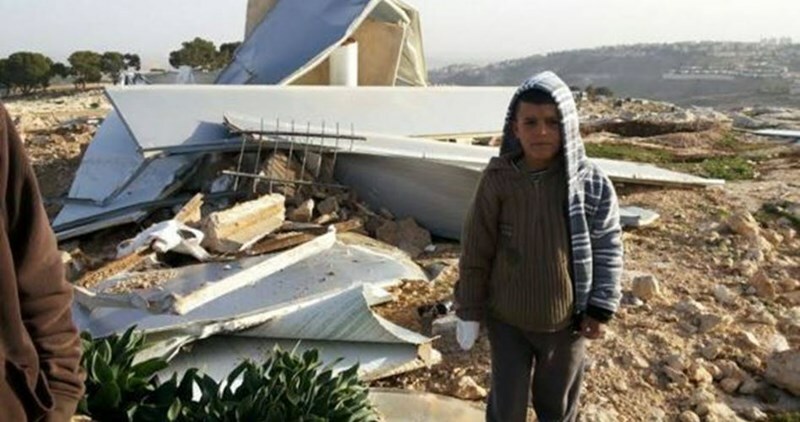 According to a report released by the bureau on Saturday, Israel demolished last week 40 structures and one school built by an Italian institution in Tana hamlet, southeast of Nablus, at the pretext of unlicensed construction. Most of the recent demolitions have taken place in Area C, which is controlled by Israel under the Oslo agreement. The residents in Area C of the West Bank are exposed to systematic ethnic cleansing by the Israeli government, which seeks to carry out settlement projects on its lands, the bureau said. In the Jordan Valley, Israel appropriated last year more than 600 dunums of Palestinian-owned land for the benefit of its settlement activities, according to its report. In Occupied Jerusalem, however, Israel has embarked recently on building about 1,000 housing units in four settlements east of the city, not to mention its settlement expansion projects in other West Bank areas, the report added. Israeli occupation authorities have demolished around 97 homes and 86 facilities in the occupied West Bank, over the month of February 2016 alone, under the pretext of “illegal construction”, according to a statistical report released Thursday by the Applied Research Institute Jerusalem (ARIJ). 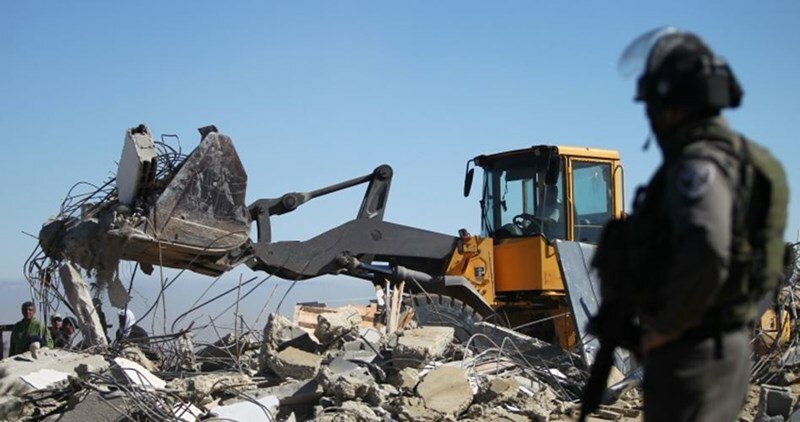 The Palestinian Institute also said, according to the PNN, that demolition orders and orders to stop construction were issued to a further 139 Palestinian houses and facilities. An estimated 653 dunams of Palestinian land, throughout various parts of the occupied West Bank, are currently facing confiscation orders. “The occupation has used the demolition policy as a way to put pressure on the Palestinians to empty the region classified as Area C in the West Bank,” Ghassan Doughlas, a Palestinian official who monitors settlement activity in the northern West Bank said. Doughlas added that the demolitions are part of a policy of a “collective punishment” policy imposed by the Israeli state. On Thursday, hundreds of Palestinians participated in a protest organized in the city of Negev, south of occupied Jerusalem, in solidarity with the people living in the villages of Atir and Umm Al-Hiran, whose homes Israel decided to deport and demolish. At the same time, Kol Ha’ir, an Israeli weekly newspaper, revealed that the Israeli government is advancing construction plans to build about 1,000 housing units in four illegal settlements in occupied Jerusalem, despite the stiff international criticism. The 1,000 housing units are scheduled to be built in Har Homa, Pisgat Ze’ev, Maale Adumim, and Modi’in illegal settlements. Construction licenses are very expensive and difficult to obtain for Palestinians, notably in the Jerusalem area, in a bid by Israeli authorities to force Palestinians out and change the demographic balance of the city. According to Israeli rights group B’Tselem, almost 600 homes have been destroyed in the city over the last twelve years, leaving more than 2,000 Palestinians homeless in annexed East Jerusalem. OCHA condemns Israel for declaring W. Bank areas "firing zone"
The UN Office for the Coordination of Humanitarian Affairs (OCHA) has strongly denounced Israel for declaring 18 percent of the West Bank territory, particularly in Area C, "a shooting zone." 38 Palestinian communities are located in this area, where the Israeli army continually demolishes homes. OCHA also warned that the expansion of this Israeli shooting zone would considerably affect the lives of marginalized and disadvantaged groups (Bedouins) in these areas. The UN organization underlined that the international law and the humanitarian law prohibit such Israeli practices in the occupied Palestinian territories. It noted that the Israeli army had demolished, since the start of 2016, 323 Palestinian homes and structures in different areas of the West Bank, most of them in Area C.
Those demolitions led to the displacement of about 440 Palestinians, more than half of them children, and rendered about 17,000 without any means of livelihood. An Israeli municipal crew escorted by policemen on Friday handed Palestinian citizens demolition orders issued against their homes in Silwan district, east of Jerusalem, according to the Wadi Hilweh Information Center – Silwan. The Israeli municipal authority in Occupied Jerusalem carries demolitions against Palestinian homes and structures almost on a daily basis at the pretext of unlicensed construction. In a related context, the Hebrew newspaper Yaroshalam said that the Israeli occupation authority (IOA) earmarked 1.5 million shekels to fund demolition campaigns and aerial photography for the Palestinian neighborhoods in east Jerusalem. The IOA also allocated hundreds of thousands of shekels to prepare new development plans for the neighborhoods in east Jerusalem, according to the newspaper. It claimed that the Israeli municipality has embarked on preparing plans to reorganize large parts of the Palestinian neighborhoods in east Jerusalem since British prime minister David Cameron described what he saw during his last visit to the city as "shocking." Israeli bulldozers uprooted at dawn Saturday dozens of olive trees in Beir Ballout town west of Salfit. Eyewitnesses said that a group of settlers stormed the area with bulldozers and uprooted dozens of olive trees as a prelude to confiscating the agricultural lands for expanding Leshem settlement. Leshem settlement was inaugurated in Aug. 2013 and considered one of the first major new settlements in the last twenty years. Three major archaeological sites in the area were damaged by its construction. The construction of settlements and the transfer of the occupying power's population into occupied lands are strictly forbidden under international law, and critics have liked the situation to "colonialism" and "apartheid."